Once upon a time, not so long ago, a little blue sock arrived on the Internet with nothing but a sack of coupon codes and a dream. In the year 2016, Coupon Puppet got to pondering. Was he doing too much, offering deals for everything from shoes to flowers to travel to cookie baskets? Could one coupon site really be all things to all people? Coupon Puppet thought not. 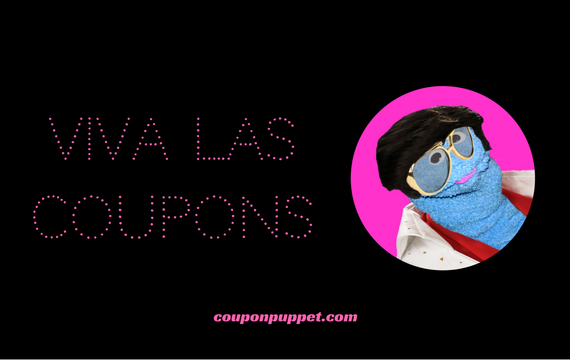 Coupon Puppet also thought about how he really likes to visit Las Vegas and is always looking for Las Vegas travel deals anyway, so why not re-design a site TOTALLY DEVOTED TO LAS VEGAS PROMO CODES, COUPONS AND DEALS. Coupon Puppet officially re-launched in November 2016 with categories including Vegas flight deals, cheap Las Vegas show tickets, Las Vegas hotel deals and more. Besides this cornucopia of coupon goodness, Coupon Puppet now features a new Las Vegas blog, The Plain Dealer. It’s chock-full of tips and tricks on getting the most out of your Las Vegas vacation dollar, plus it’s got restaurant recommendations, show reviews and hotel reviews. You’ll definitely want to check it out before hitting Sin City. In conclusion…welcome to the all-new couponpuppet.com, featuring nothing but Las Vegas travel deals!